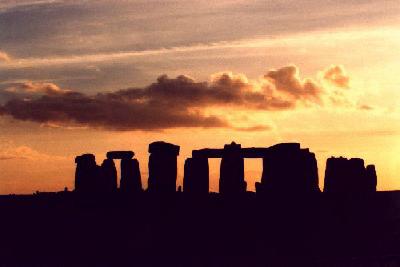 ----the web site offering the most reliable and useful information on Wiltshire's Stonehenge and Avebury, the world's most famous stone circles and henges. These World Heritage monuments, under the care of English Heritage and the National Trust , are over 4000 years old and are the most visible surviving signs of an advanced early-British culture in Wessex in Southern England. When was it built? And by whom? 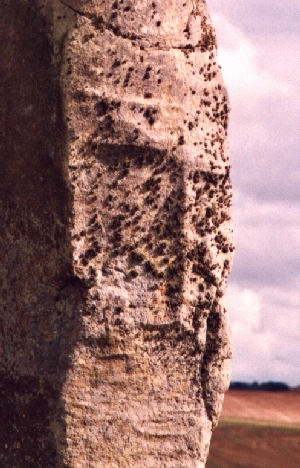 And what is known about nearby Avebury, which has the world's biggest stone circles and whose broadly-similar mysteries are now being solved by scholars in archaeology, science and ancient religions? TheMOST COMPLETE FULLY-ILLUSTRATED GUIDEBOOK TO AVEBURY is"Secrets of the Avebury Stones" by archaeologist Terence Meaden. Every megalith is discussed; and most are photographed. Publisher: Souvenir Press, 43 Great Russell St, London, WC1B 3PA. £12.99 + pp. Publisher's telephone + 44.207.7580.9307; publisher's fax + 44.207.7580.5064. Also via Amazon. 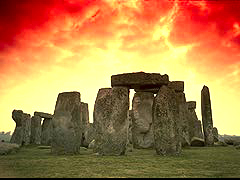 Also,"Stonehenge: The Secret of the Solstice" explains the prehistoric meaning of both Stonehenge and the Stonehenge Cursus. Same publisher, same price. Alternatively, both books are available at £10 each by writing to QED House, Frome Road, Bradford-on-Avon, Wiltshire, BA15 1LD, U.K.
For information on interviews, paid tours and lectures on these monuments using guides and lecturers having expert scholastic knowledge of these and neighbouring prehistoric sites, apply to terence.meaden@stonehenge-avebury.net. Tours and lectures are given at whatever level is required by the visitor, ranging from school level, to popular/general, and to undergraduate/graduate/university level. been prepared for the Society by Prof / Dr Terence Meaden. to see the stones for themselves. from the disciplines of archaeology, anthropology and comparative ancient religion. We assess and research sites built by the Ancient Britons; we seek to preserve megaliths that are in danger; we adore our Ancient British Heritage. Enthusiasts who are keen on megalithic archaeology are welcome to join our friendly own-car excursions. They are open to all. There are no membership fees. Simply turn up on the day, or send us an e-mail detailing your interests. This is a voluntary organisation serving the national public interest. For examples of our day excursions, using Panoramic QtVr Photos, visit our Recent Tour pages.